Why dip your fries in ranch dressing when you can slather them with it? Home to my favorite turkey wrap ever; Mr. Wraps – Hoboken. 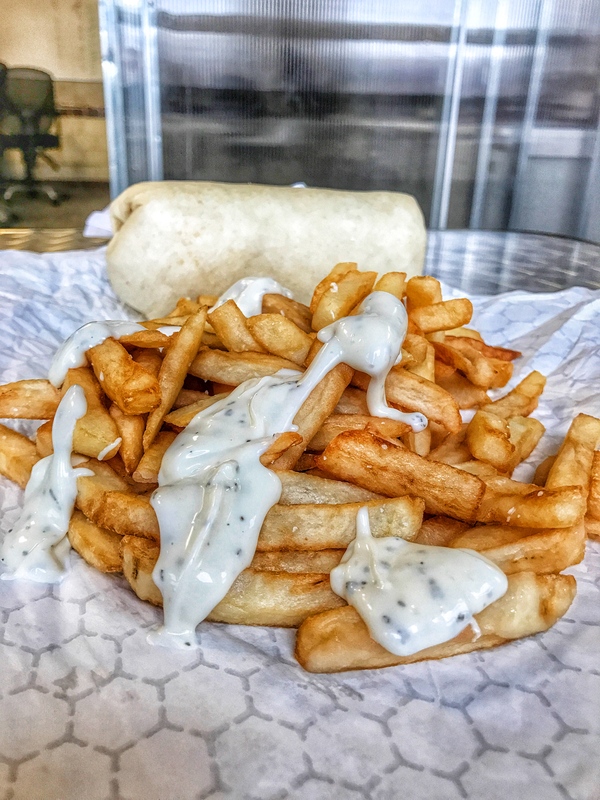 This entry was posted in French Fries, New Jersey and tagged french fries, hoboken, mr wraps, ranch dressing. Bookmark the permalink.